Damascus (Agenzia Fides) - Cardinal Luis Antonio Tagle, President of Caritas Internationalis, took part in the opening of the Council of the Patriarchs and Heads of Catholic Churches in Syria, which began on Monday 4 March in Damascus, at the headquarters of the Greek-Melkite Patriarchate -. The meeting will last until Wednesday, March 6, and aims to take into consideration the urgencies and problems that local Catholic communities are facing in a Country devastated by eight years of conflict. The meeting will see the participation, among others, of Greek-Melkite Patriarch Youssef Absi, Syrian Catholic Patriarch Ignace Yussif III and Cardinal Mario Zenari, Apostolic Nuncio in Damascus. 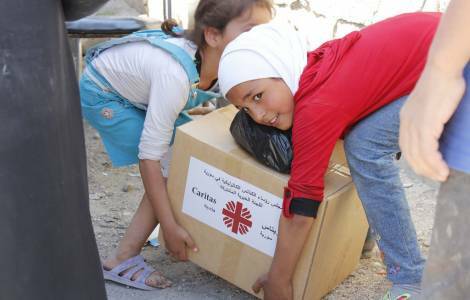 While many relief agencies are decreasing and canceling their interventions in Syria, Caritas Internationalis reports that it has just started a program of assistance and support for the population of Aleppo that will involve 70 thousand residents of the Syrian metropolis in this difficult phase of reconstruction and an investment of 4.1 million euros.